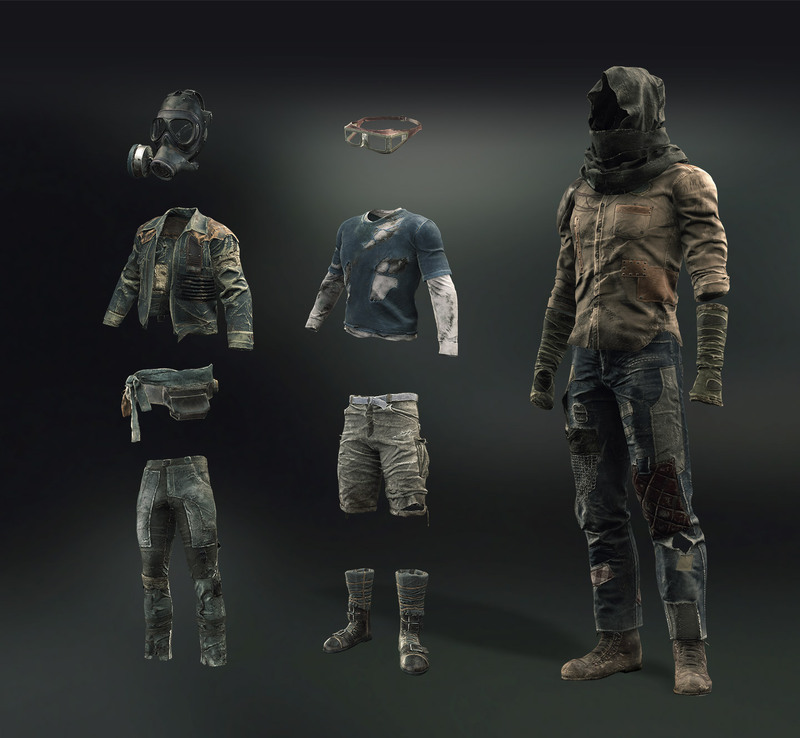 All outfits and equipment are textured for real-time PBR rendering. Texture maps include albedo, normal, metallic, roughness and AO. 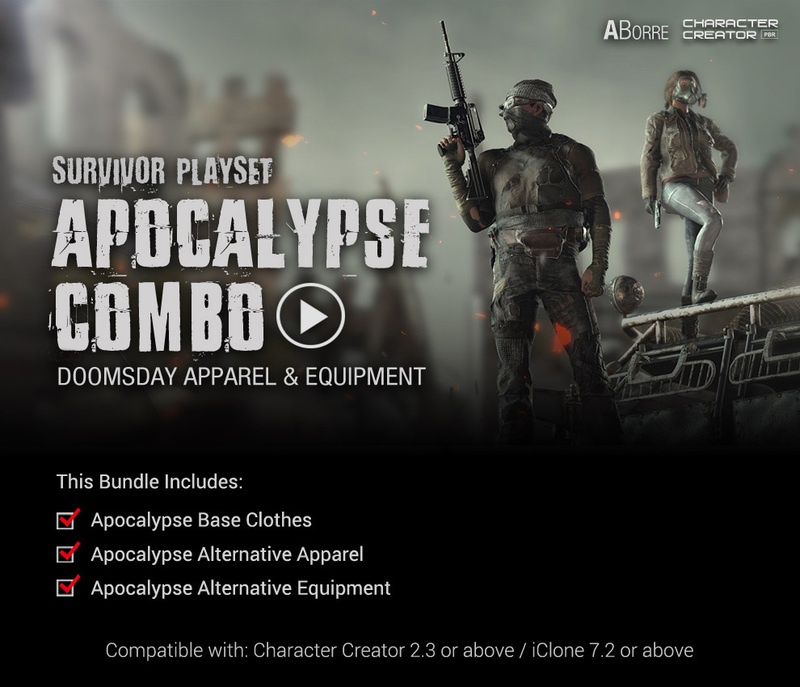 Besides the base set, the Apocalypse Combo also includes different variations of apparel and equipment from each base, for more flexible dress up combinations. 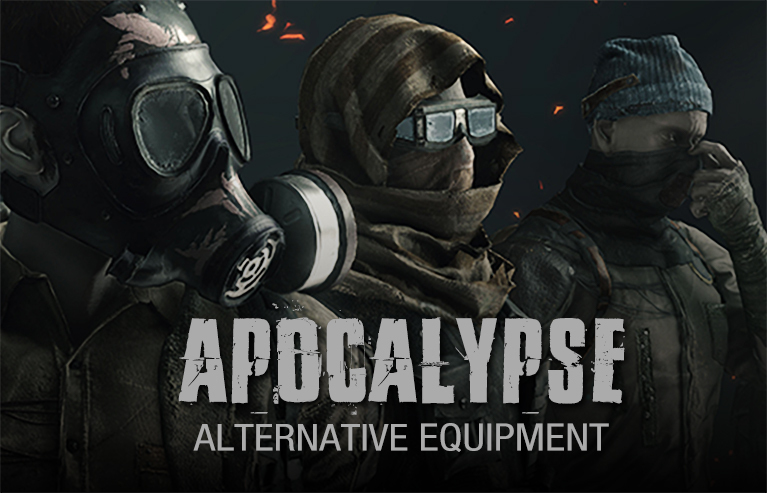 Apocalypse Alternative Apparel & Apocalypse Alternative Equipment packs both include coats, jackets, vests, shirts, pants, boots, backpacks, canteens, beanies, belts, cowls, ski masks, goggles, gas masks and pads which you can freely combine with existing Character Creator outfits to create even more variety. The informative teaching guide is also available. 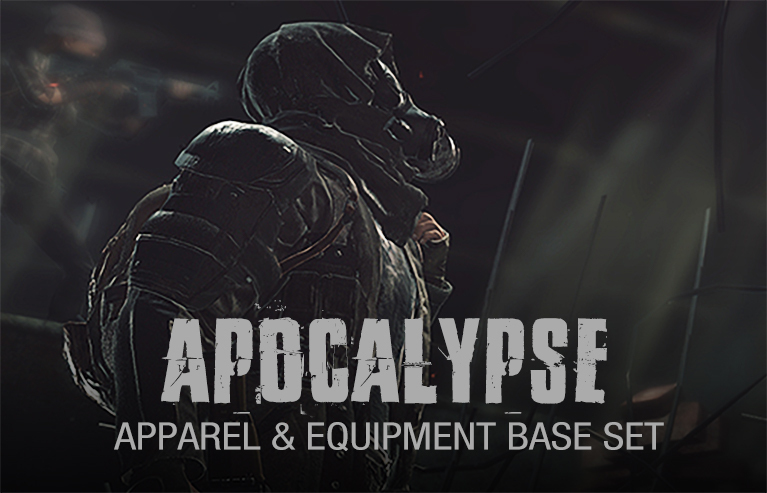 This guide will take you through the steps of creating a clothe asset - Designing Apocalyptic 3D Garments. 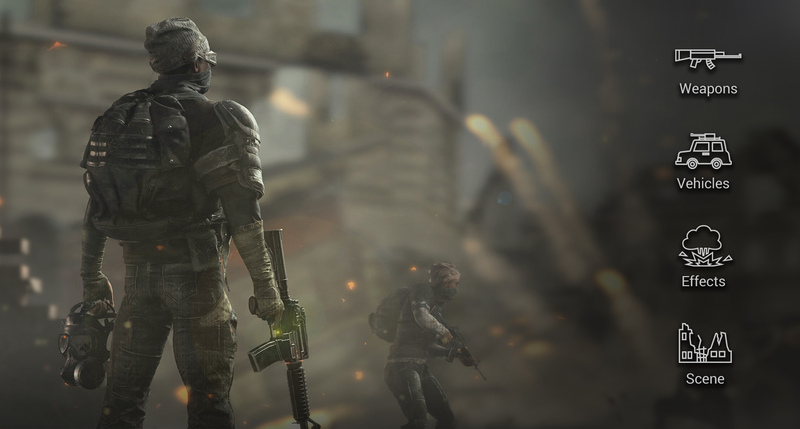 Take a look at the Reallusion Blog for more details. 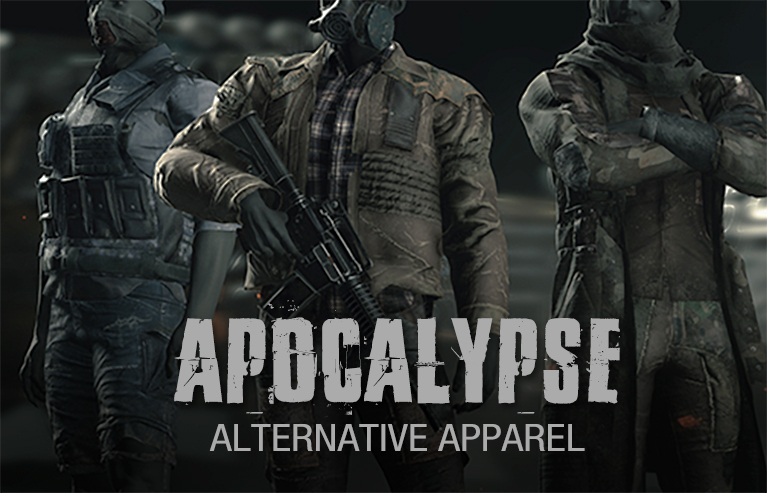 Apocalypse Alternative Apparel & Apocalypse Alternative Equipment packs both include coats, jackets, vests, shirts, pants, boots, backpacks, canteens, beanies, belts, cowls, ski masks, goggles, gas masks and pads which you can freely combine with existing Character Creator outfits to create even more variety. 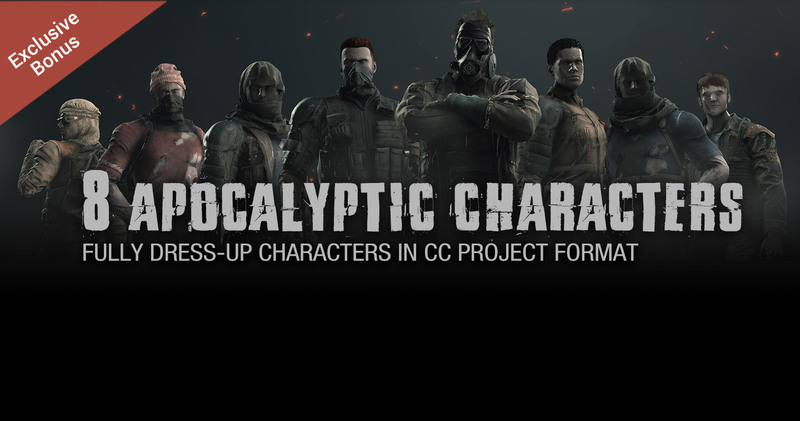 After creating your survival characters, use other assets such as weapons, vehicles, ruined city scenes and the latest iClone popcornFX Library 40 with rifle combat motion packs to build a detailed fallen city project. If you wish to purchase some of the additional assets that were used for display, please see the links below.